When you own a private yacht, even the most remote islands are reachable. 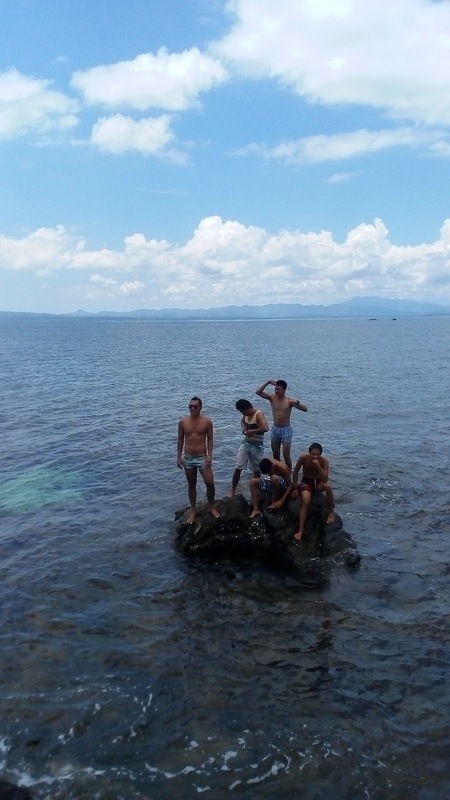 My husband Noli, I, and my crew aboard Hot Buoys, sailed to Cagayancillo in 2016. This island in the middle of the Sulu Sea of the Philippines. It can only be reached by tourists with great difficulty. There is no regular plane service and one ferry runs sporadically. Once you get there you will find no lodging and almost nothing to buy. In short to make it a comfortable trip, take your sailboat, or find someone who already has one to tag along. 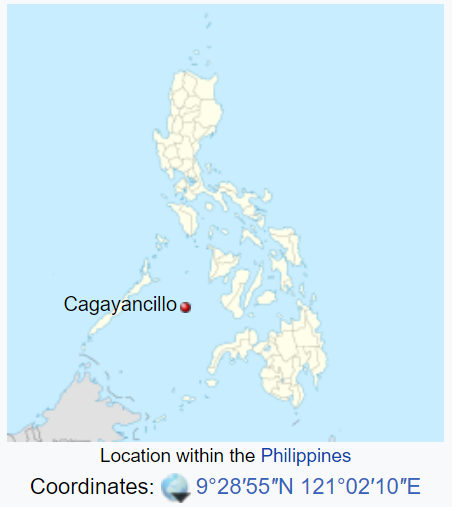 So why Cagayancillo? Well for starters, it is personal. 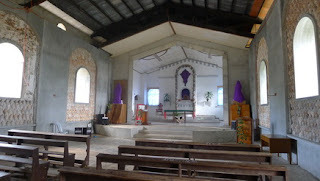 This small island is the birth place of Noli's parents. They were born and raised on this island and married there too. Like many Cagayancillo residents they left to find work on one of the major islands. They went to Palawan where Noli was born and raised. 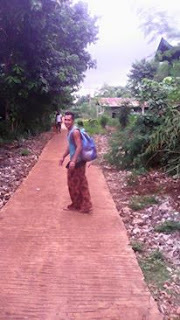 My 2016 trip to Cagayancillo was the first time Noli ever left his home island of Palawan and taking him to Cagayancillo was very special to him. Just look how happy he looks. Noli is wearing the great pair of Thai fisherman pants I bought in Phuket. Don't you just love this road? This is the main road up and down the length of the island. The red color comes from the dirt used to mix the concrete. We were heading into town to check out the old Spanish Cathedral and fort. This tiny island has some history. The Spanish founded this town in the 16th century. It served as a shipping building center and all the old growth trees from the island were cut down and ended up in Spanish galleons. 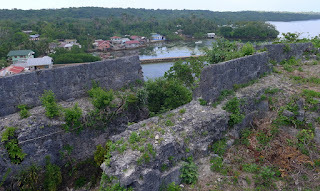 The island is small and easy to defend and served as one of the first places the Spanish colonized when taking over the Philippines. The cathedral is decorated with thousands upon thousands of shells all grouped by type and size. 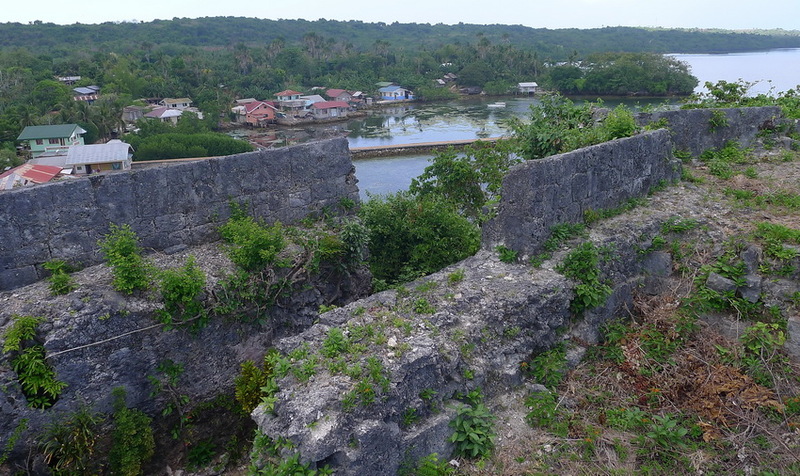 Industry on the island is largely dried fish and seaweed. 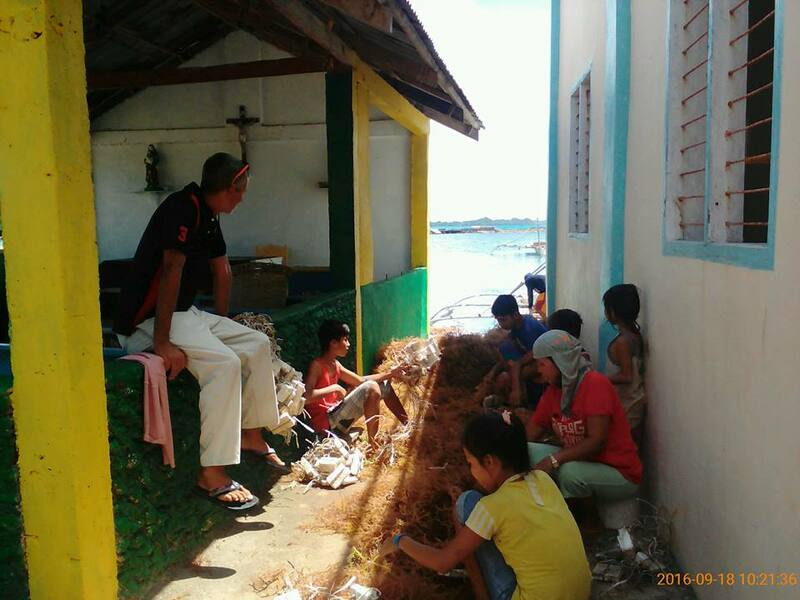 There is no quick access to the Filipino markets so there is no market for the abundant fresh fish. One major use for the seaweed is the manufacture of plastic. Here is Captain Philip inspecting the local seaweed stringers. They are attaching a small piece of seaweed to a long string that will be floated in the bay where we anchor the vessel. After a few weeks, the seaweed will have grown large and it will be dried in the sun. Noli's relatives on the island wanted to make us feel welcome so they planned a beach cookout on an even more remote and smaller island. 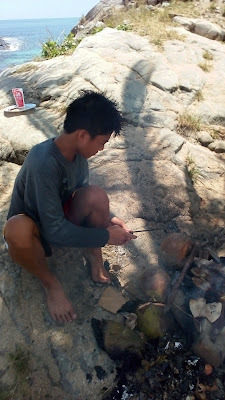 While one of my nephews prepared freshly caught fish over wood charcoal, Noli and the rest of the guys got on even yet a smaller island below. 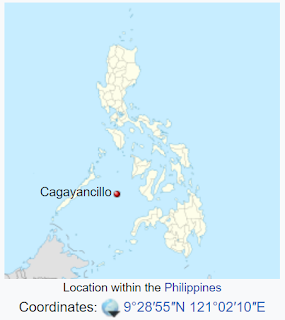 I wonder if the island above counts as one of the 7,107 islands of the Philippines? Noli is on the left, and one of the crew members is in the back right. The three other guys are more nephews. We will be returning to Cagayancillo this Summer 2018. We depart June 2nd, 2018 from Puerto Princesa Palawan. This a shakedown trip before our big trip to Thailand in the Fall. Beginning December, 2018 we will conduct ten 7-day gay sailing trips from Phuket Thailand to remote beaches where guests can get "natural" if you know what I mean. If you want to come along get in touch with us soon.